We are an eminent organization engaged in manufacturing and supplying Stainless Steel Storage Tank that are widely used across nation. Our products are highly demanded in process industries for the reliability that our customers gains from us. We manufactured these tanks using quality-approved raw material procured from authentic vendor-base. These tanks are manufactured as per the international norms and standards using latest technology and high grade equipment. Moreover, we provide customization facility to our valued patrons as per their needs and requirements. We are dedicatedly engaged in manufacturing and supplying Mixing Tanks of premium quality. Procuring raw materials from authentic vendors, our skilled professionals fabricates these tanks using latest technologies and best equipment. These tanks then stringently pass through various quality check process to ensure the best outcome for our valued customers. Backed by technologically advanced infrastructure and expert professionals, we have enabled ourselves to provide customization facilities to our patrons ensuring delivery at a stipulated time. We are a preeminent organization engaged in manufacturing and supplying Storage Silos that are used widely in industries for storing liquids. 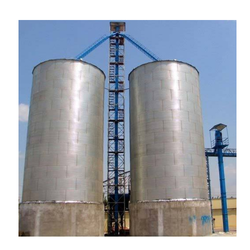 These silos tanks are manufactured using premium quality raw material from certified vendor-base ensuring high quality to our valued patrons. 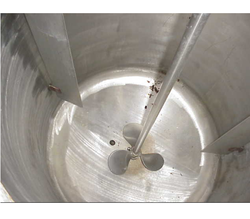 Our dexterous team of experts uses updated technology and high-grade tools and equipment to fabricate these tanks. Looking for Industrial Stainless Steel Storage Tank ?